If you look at Porsche’s current product catalog, there’s a pretty big gap between the sold-out $245,000 GT2 RS (the fastest road-going Porsche ever built) and the $845,000 918 Spyder, whose performance numbers have yet to be established or verified. Porche’s head of global sales, Bernhard Maier, smells opportunity in this segment, and he recently leaked the information that Porsche is looking to develop a high-performance model that slots in between the GT2 RS and the 918 Spyder. 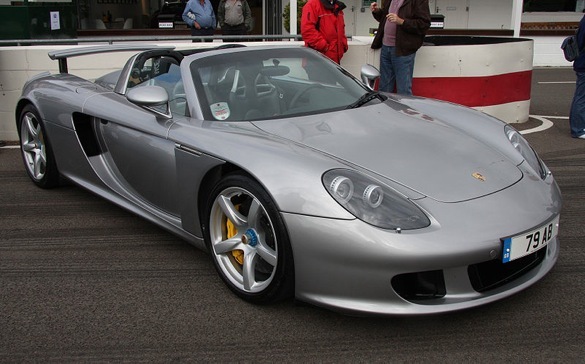 Could it be an updated Carrera GT, perhaps? Despite the global economy being in shambles, Porsche sold 97,000 vehicles worldwide in 2010 and is on pace to top 100,000 this year. That’s modest but realistic growth, as orders dropped in June and second half sales gains aren’t projected to be as impressive as those in the first half. Much of the first half growth came from orders for the new Cayenne, and Porsche is well aware that an updated and expanded product line is the key to growth. By 2018, the automaker wants to hit sales of 200,000 units per year. A new high-end sports car won’t drive sales on its own, but it will draw attention to the Porsche brand and it will bring customers into showrooms. It’s up to their sales team, aided by one new model per year, to produce the rest of the growth. Look for the new 911 to hit dealers this fall, followed by the introduction of the Cajun compact SUV in 2012.